Yes! After depressing doom and gloom recession stories Surrey Recruitment is on the rise, says Rebecca Fuller of The Fuller CV. Right now, the leading Job Boards are advertising on the television, on trains, online, and they all want you! So to get the most from your career, take note of these top tips to secure your juicy job. Identify the right Job Title that truly reflects the job you should have and the matching salary. Add this to your online profile; put it in your CV summary etc. If your own job title is Cell Leader but in UK would be Team Leader – consider adding that title to your CV too. Research this and be realistic. A 10% pay rise is what people aim for. Never drop your salary expectations by 30% or more, unless you have a very good reason for doing so! Wouldn’t you question the quality of someone suddenly available for half their worth? Is your ideal role job function specific or industry specific, or could your skills be transferable? Expand your ideal sectors and highlight your transferable skills within your CV to open up opportunities. Like Google, you don’t get to see every website, just the ones that most specifically match your keywords. It’s the same with your CV, so add keywords so recruiters find your CV. Think ROI – Return on Investment. Ensure you cover letter conveys why you are worthy of the salary you are applying for and how you will add value to the company. Join them for coffee and cake and bring your CV with you for a free CV review. Let them teach you the importance of knowing the online recruitment journey your CV will take and guide you through our Professional Services. The Fuller CV local office & home working team of 20 provide assessments by telephone and online, and upsell their Professional Services. If you like the idea of a change of career, are a people person and enjoy giving advice to Office Managers through to CEO’s, their Freelance team includes former Directors, Managers, Consultants, HR, Accountants, Sales, Hospitality, Self Employed, Unemployed and Housewives. Become a Freelancer and you become your own Manager. They offer you the leads, the training and the desk. In return you earn a healthy commission for your minimum three day week, or 16 hours if unemployed. If you would like to find out more about The Fuller CV and how they can help you, please call on 020 7998 4112 or visit their Events Guide at www.thefullercv.com for forthcoming open day dates. Festival season is upon us with Glastobury, Lovebox and T in the Park all set with some stellar line-ups. But music won't be the only think everyone will be watching. Festival fashion will once again take centre stage with regualr festival fashionistas like Alexa Chung and Kate Moss sure to turn up the heat in some trend-setting outfits. Create your own free-spirited look with Senti's festival-ready jewellery. Accessorise your day-to-night look with boho necklaces and gorgeous Italiain macramé lace bracelets and get ready to dance the summer away. If you want to stand out from the crowd and show your own individual sense of style the Natural Born jewellery collection is for you. Natural Born by Alfred is a free-spirited mixture of bijoux with a boho-luxe attitude. 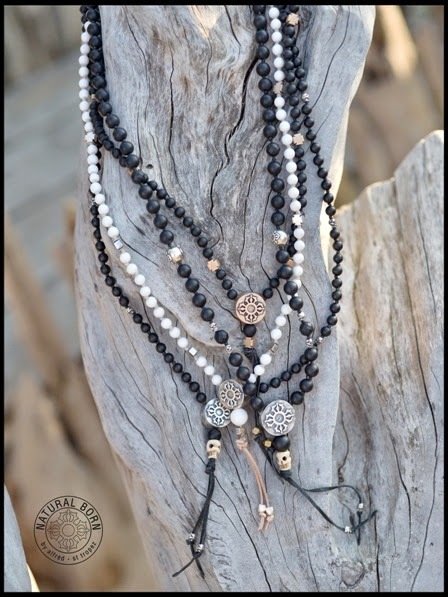 Designed to be worn by both men and women, each piece is unique with its raw beauty of symbolic gemstones teamed with silver, bronze and leather. Created in St. Tropez, the iconic brand is attracting a cult following amoungst 'gypsetters'. Cruciani bracelets are the much loved fashion accessory being worn by fashion conscious celebrities including Beyonce, Rita Ora, Paris Hilton and Dita Von Teese - to name but a few. 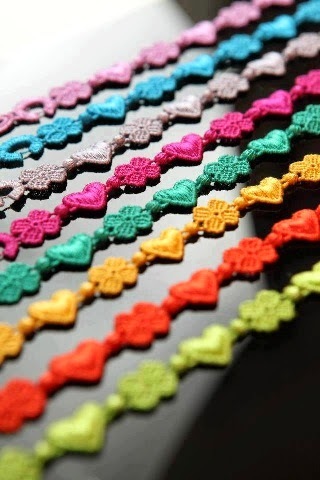 The gorgeous crochet bracelets are made in Italy of macramé lace and are available in a stunning array of styles and colours which look great when several bracelets are worn together - Cruciani bracelets are a must have for festival season! You can find the range of Natural Born by alfred and Cruciani bracelets at the Senti Shop in the heart of Wimbledon Village at 39B High Street. Visit them at senti.co.uk or telephone them on 0208 947 5179.